This page will feature some of the hand tools that I have that I've found helpful in my model building. We see here some inexpensive tools that were truly helpful in making the mitered joints required during various stages of the Bubble Dancer. 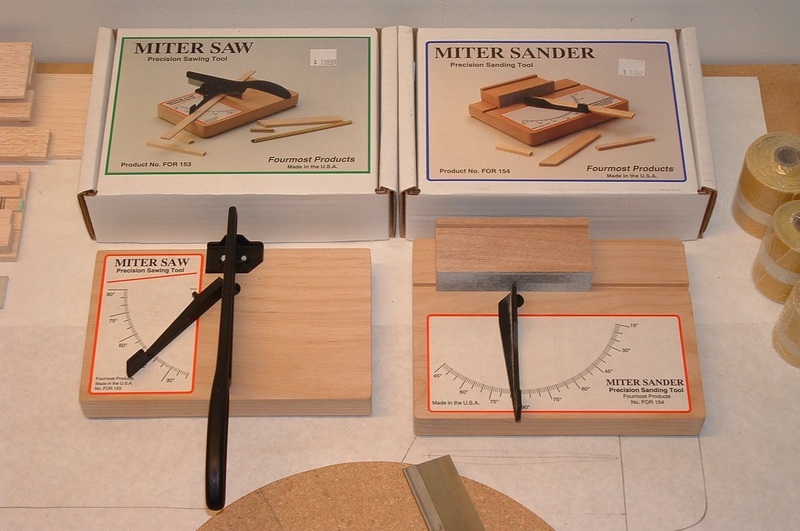 The Miter Saw and Miter Sander. To be honest, I used the Miter Sander much more than the saw, and found myself more often than not, just sawing freehand and finishing with the sander. 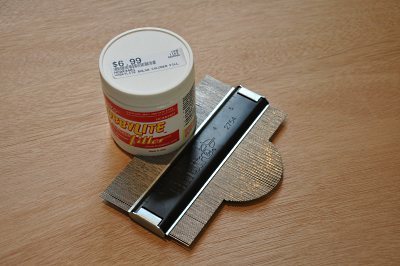 This profile gauge is made by Empire. It has a series of metal pins that when pushed against an object, will conform to the object's shape. It was useful for accurately reproducing things like the inner shape of the Bubble Dancer's fuse pod at the location where the bulkheads needed to go.